On plate or shallow container, mix Parmesan and spices with a fork. Pour extra virgin coconut oil in small container. 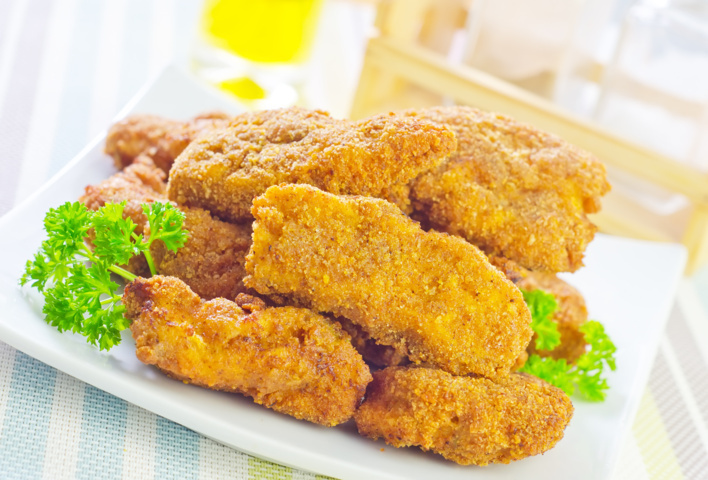 Drench each tenderloin in coconut oil then gently press each chicken tenderloin in coconut flour mixture. Ensure each tenderloin is completely covered with coating then place on a rack inside shallow baking pan. Bake at 400°F for 10-12 minutes then flip each tenderloin. Eat plain or dip in your favorite sauce.